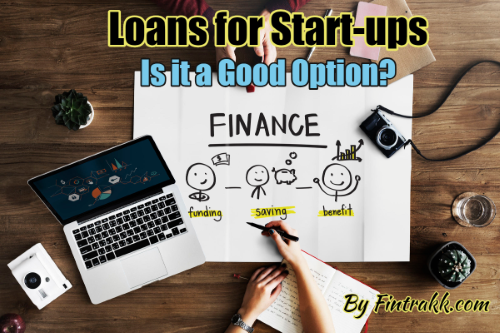 What Makes Loans for Start Ups an Excellent Option? Most companies who have not gained much good fortune when it comes to access to funds are start-up companies. Because of this reality, starting the dream business you have dreamt of becomes more difficult to achieve. Banks have been strict and picky when evaluating start-ups. Most especially when the business plans presented to them show no sign of big returns for the lenders. Thankfully, there are other alternative companies that can provide business owners loans for start-ups. Loans for Startups: Is it a Good Option? What separates start-up loans from the loan bunch? Find out below. Nowadays, time is equivalent to money. The patience it would usually take to complete a normal loan process can sometimes be over the top. The paper work, interview, and waiting time can become frustrating to mogul hopefuls. However, online loan service companies have made headlines in the business grapevine. Upon registration of basic information, you can already expect a call from their loan representatives for a quick chat. In contrast to several weeks and months that a traditional loan process extends to, online applications of loan for start-ups only take an hour to complete. The money itself can be expected after a short count of days. Banks anywhere make it absolutely clear that loans must be paid back 100% guaranteed. This is the most important requirement that big and small business owners should meet for a loan application. The good news for any start-up company is that the type of loan that is suitable for them do not require any equity to piggy bank on for large loan amounts. No need to fear about your house, car, or property being taken by the bank should you fail to make a payment. ALSO READ How to save Money -7 tips only Smart people know ! Say goodbye to having to beg banks to approve loans for you. Even when generating millions of income annually, credit record is everything. As a start-up company, the best thing is to build a financial reputation by paying off your first loan faithfully then, the story will definitely turn around for you. As your business grows successfully, more banks and lending corporations will be interested in calling you to check whether you need to avail of their loans, most often at times you don’t actually need them. Just remember to actually take care of the small credit lines you have. Banks actually take a look at your credit score to see if you have grown your credit and used it. Everybody thinks asking money from relatives, family and trusted friends is perfectly okay. For some, it is indeed okay for the loan is based on a tried and tested relationship. However, others point out the different complications that arise from this type of “loan transaction”. It is important that one must deal with their closest kin members as professional as they would with a bank or a lending corporation. You have to keep in mind that borrowing money from these people is much more trust-dependent and how you respond will affect that trust and may result to certain “issues”. Loan for start-ups will put an end to fear that time will come your relatives or friends may step into your business operations thinking that you may fail to generate revenue and pay them back. It is always advisable to have a lawyer even when dealing with the closest people you have in your life. It is better to get everything into writing and make everything crystal clear from the start. On the other hand, just avoid this delicate situation and apply for a loan for start-ups. This is a guest post by Joe RoosEvans, FRA Financial Group Founder, an industry veteran who has built one of the successful Independent Marketing Organizations – Financial Resources of America and its affiliated companies, including FRA Financial Group.